U.S.-made Aerial Acoustics designs and builds its line of speaker products in the suburbs just north of Boston, taking an artisan approach to the market. Aerial Acoustics is based in the suburbs of Boston and it designs and manufacturers a choice of floorstanding, on-wall, bookshelf and home theater speaker solutions. If there is any company that should celebrate on July 4th, its Aerial Acoustics. Indeed, the company is a rarity ... an artisan consumer audio company that still makes its products 100 percent in America. Aerial's leadership—Michael Kelly, president and CEO, David Marshall, vice president of engineering, and Karl Brunelle, production and testing manager—have a collective goal to provide artisan craftsmanship that reflects the values of the Boston and New England region to discerning consumers. Aerial Acoustics operates by the simple mission statement of providing reasonably priced, American-made loudspeakers that utilize the highest levels of acoustic engineering and furniture-grade cabinetry to offer homeowners with state-of-the-art speakers that aesthetically reflect old New England craftsmanship. Incorporated back in 1991 Aerial Acoustics first garnered quite a bit of audiophile attention for its 10T floorstanding loudspeaker. Since the early 1990s, the company has continually developed new products to diversify its product range to include on-wall speakers and home theater products. Today the company is preparing to introduce a new product, but in true New England fashion, Aerial still supports its existing and discontinued products in order to maintain positive relations with dealers and audiophile enthusiasts that believe in the company’s boutique values. Working with vendor partners from across the U.S. and the globe, Aerial works diligently to control every phase of the design and manufacturing process. The company’s leadership takes an enormous amount of pride in the work they do to create the Aerial product line and to ensure every product meets strict manufacturing and performance tolerances. Starting with the initial development phase Aerial employs custom-designed drivers, carefully selected cabinets that are made to its specifications, and crossover networks that incorporate the best possible components. Once the products are designed and built, Aerial keeps about 10 pairs of every speaker in every finish in stock to ship products within 24 hours of a dealer order. Kelly says the company used to try to anticipate trends concerning preferred finishes, but he admits the trio was terrible at trying to anticipate those trends. Through its failed experiences of trying to anticipate those trends, Marshall says they realized the best course of action the company could take to support its dealers was to maintain its inventory to ensure quick shipments. If a customer ever decides to open up an Aerial product and pull it apart, Kelly wants that customer to be just as impressed with the internal components and build quality as he or she would be with the speaker’s exterior finishes. 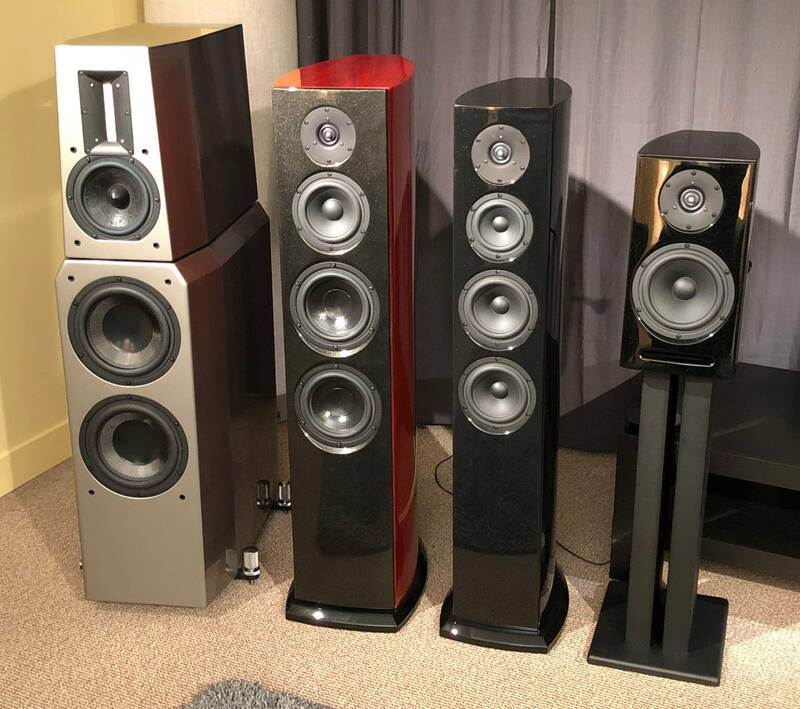 His confidence in the build quality is based on the fact that everything is designed and built in Aerial’s suburban Boston facility, so they can tightly control the manufacturing and quality assurance testing of Aerial speakers. While Aerial’s products aren’t inexpensive, they do perform as well as products that cost much more, according to Kelly. 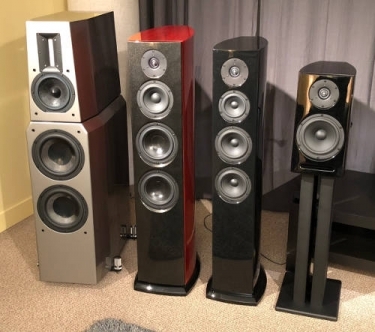 For instance, Aerial's smaller 5T bookshelf speakers retailf ro $3,795/pair in the standard finish, and $4,195/pair for the premium finish. Moreover, the pride taken in the development and manufacturing of the Aerial Acoustics’ product line in America is something dealers and their clients can talk about just like the old New England craftsman the company emulates.